The former LCS mid laner is starting up an esports organization. 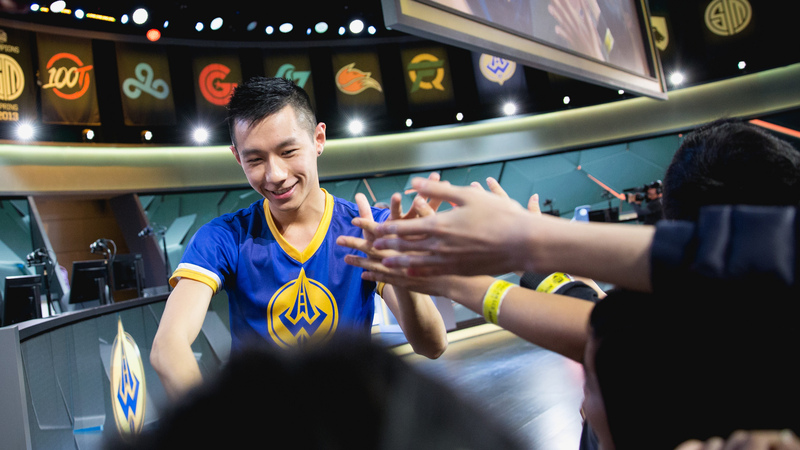 It looks like former LCS veteran Hai Du Lam is starting up his own esports organization, and he’s already found himself a League of Legends roster. Radiance has signed Cuong “Aetheres” Ta, Nathan “OddOrange” Ryan, Jackson “KatEvolved” Dohan, Robert “Jurassiq” Mabansag, and Olivier “Winter” Lapointe. Aetheres, Jurassiq, and Winter were all previously on Team Buff Katarina, and was also part of the roster that won the 2018 Tyler1 Championships Series. KatEvolved was also in the tournament with Team E Turner, but eventually lost to Buff Katarina in the Grand Finals. All five members are primarily high ranked solo queue players in North America, with a few members having experienced professional League play in the past. For example, Aetheres was once known as Flaresz, and actually played in the LCS back in 2015 and 2016 with Enemy Esports, Winterfox, Renegades, and Team Dragon Knights. Meanwhile, OddOrange had a stint on Echo Fox’s Academy team, Jurassiq was on Golden Guardians’ Academy team at the beginning of 2018, and Winter was an unfielded sub for Cloud9 in 2017 and played for OpTic Academy in the first three months of 2018. The only player coming straight from the solo queue scene is KatEvolved, who’s been able to maintain challenger rank for four years as a Katarina one-trick. Hai also hopped into the League of Legends subreddit to explain a few things to the public including the lack of an amateur League scene.